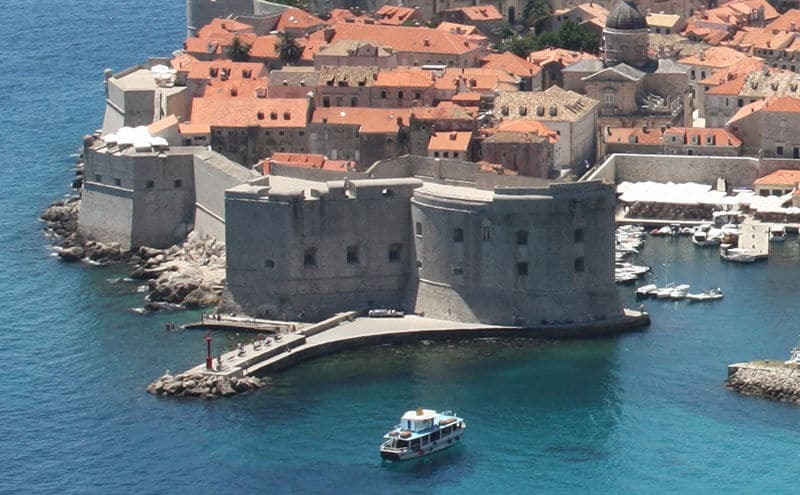 One of the key forts in the Dubrovnik City walls defense complex is most certainly the Fortress of St. John, often called Mulo tower. 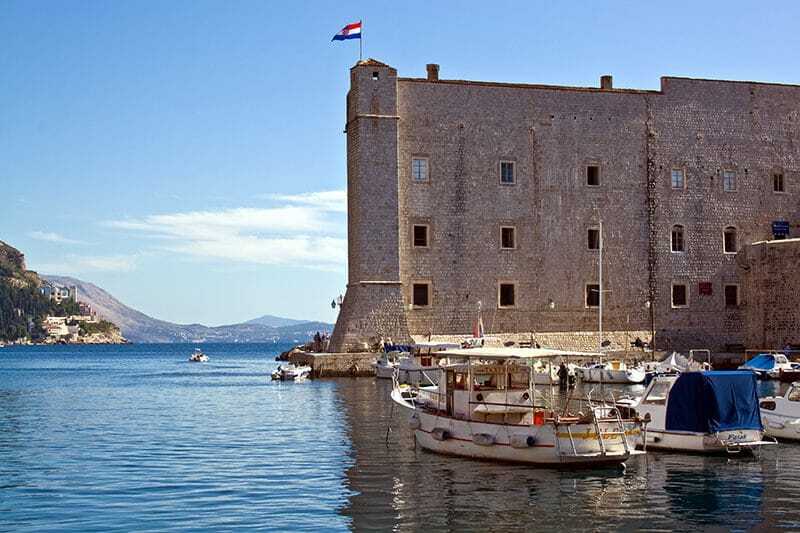 It is a complex monumental fortress located on the south-eastern side of the old city port, controlling and protecting the entrance of the port. The fort was built as a consequence of many upgrades of the port defence system. The side toward the sea is round and lower part of the wall is inclined, while the part facing the port has flat vertical walls. 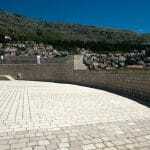 In 1346 Dubrovnik government concluded to build a fort on the outer dock of the port ­ Dock Fort. The building started that year and lasted for several years. This fort is still visible as a integral part of St. John fortress. The outline of this initial fort is visible on the western wall of St. John fortress. 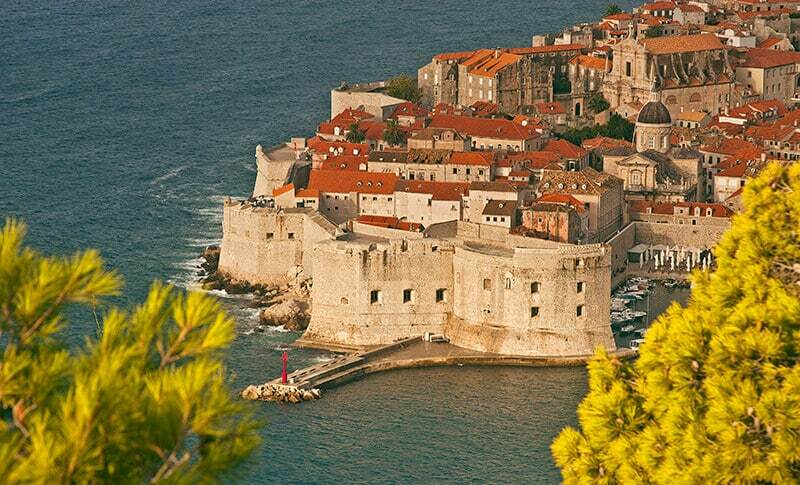 This initial fort was connected with the City with a defensive wall and the gates passing through those walls (Croatian ­ “Vrata mula” ­ Dock Gates). On the very corner of the City, near the defensive wall stood the old quadrilateral fort that everyone called “Fort Gundulić”. In the beginning of the 15th century a low semicircular bastion was built forward of the Dock Port. The newly built bastion effectively integrated as the outer wall of the Dock Fort. In the year 1500 the upgrade of old Gundulić started. This fort was sometimes called the Fort of St. John according to the nearby church. The old quadrilateral fort was upgraded into a much bigger fort with semicircular form and a pentagonal bastion in front. 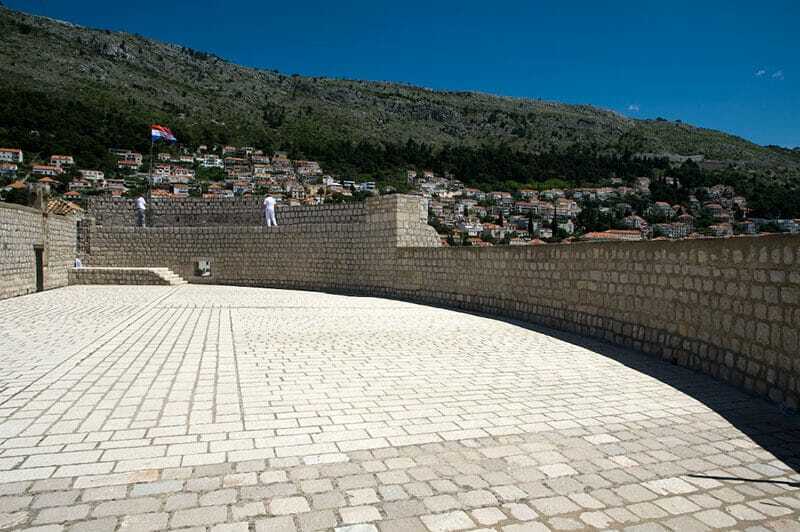 In 1552, the merger of all bastions commenced in a grand upgrade of the whole fortification complex according to the designs of master architect Paskoje Miličević. Both forts, Gundulic fort and Dock fort, with their respective bastions were merged into a single building which got a new official name: “The fortress of St John at the Dock”. The merger was completed in 1557.